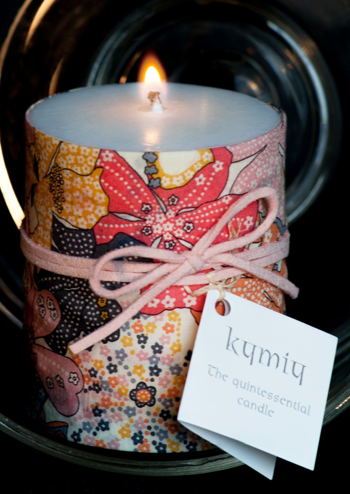 Our quintessential candle is handcrafted exclusively with a premium blend of certified sustainable palm oil (CSPO) and copra oil. 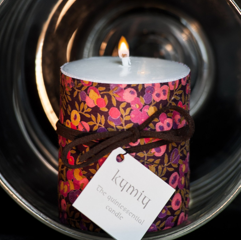 Environmentally friendly, this paraffin-free candle is biodegradable, using a non-toxic, natural wax formulation that ensures a clean, even burn lasting between 44 and 65 hours. 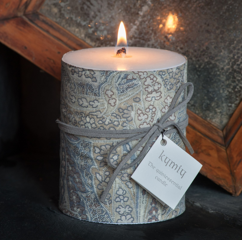 Delicately wrapped in the finest Liberty fabrics, kymiy’s signature candles add a touch of sophistication and warmth to any interior.